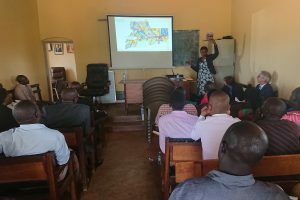 Tuesday 26th of February the Kajjansi Town Council met in a special session regarding the Kajjansi Junction Spatial Development Framework (SDF), presented by DASUDA under the title Vision for Growth. 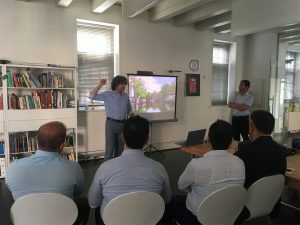 The Council members have taken the opportunity to learn about the insights and background of the SDF containing the Master Plan for the Kajjansi Junction area, the potential growth from the node or Urban Accelerator© over a wider area, and the phased implementation interventions for the existing Kajjansi Market to become a sustainable and durable solution in future context. Part of the SDF focusses around the Kajjansi junction on an integral spatial and mobility improvement. A Metrobus will interchange at this hub with the Taxi (14 seater) and the main road in Kajjansi town will be transformed into a “Kajjansi Boulevard”. The Council have expressed their enthusiasm for this vision to make it their own. Therefore they have decided officially at the meeting of the Council on Thursday 28th of February 2019 to endorse this Kajjansi Junction Spatial Development Framework. We are extremely proud to have been entrusted to work together with Must, Twynstra Gudde, Sweco and Decisio on the MIRT Research for Utrecht Metropolitan Area. A challenge we are very excited about! 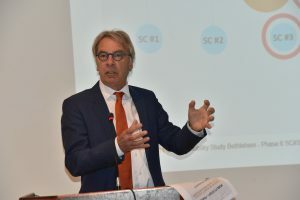 The region has the task to expand the existing urban area with a city the size of Eindhoven, starting from now, until 2040. Our role is to identify and make an inventory of challenges and opportunities for supporting a smart and healthy accessibility in the region. Compactness and proximity are key concepts for this topic. 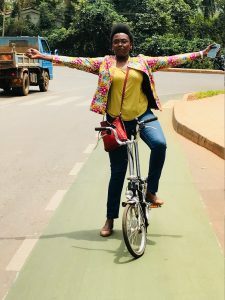 For us this means that we will focus even more on pointing out the opportunities that cycling and walking have to offer, both as separate transportation modes and in combination with public transport and private vehicles. 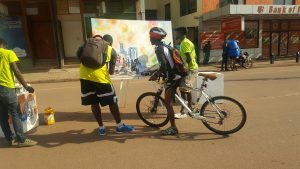 Car Free Day in Kampala, coordinated by our partner in Africa, Amanda Ngabirano, MSc! Kampala continues its efforts to become a sustainable, clean and people centred city. 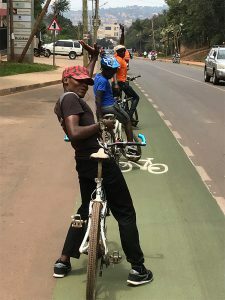 On the 27th of January, the Ugandan capital city celebrated non-motorised transport through the “Car Free Day” event, bringing together people of all ages and from all walks of life. See more here: https://lnkd.in/gYNAZyC ! 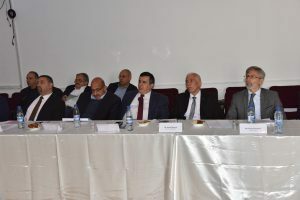 The event brought together representatives from several national ministries, the local municipalities involved, members of the civil society, NGOs and local businesses. The first half of the day was dedicated to presenting and discussing the overarching vision, the main objectives and the development scenarios for the Bethlehem conurbation mobility. The results of the previous stakeholders’ workshop, organised in September, formed the basis for our proposals. The participants got the chance to comment on the three scenarios and to choose the one that they believed was the best for creating a liveable and accessible Bethlehem. During the second half of the day, concrete and operational measures and projects have been discussed, touching on topics such as: public transport, road network, NMT and information and education. On the 14th of November, a high-level Steering Committee meeting took place. The Mayor of Bethlehem, Mr. adv. Anton Salman, the mayors of Beit Sahur, Beit Jala, Al Khader, Ad Doha and Artas, the French General Consul in Jerusalem, Mr. Pierre Cochard, the Governor of Bethlehem Governorate, representatives of Paris Municipality and French Agency for Development, engineers and planners sat together at the same time and discussed the future of mobility in Bethlehem conurbation. The meeting has been a success, showing the commitment of all stakeholders to transform Bethlehem conurbation into a sustainable and enjoyable place for its inhabitants and visitors. 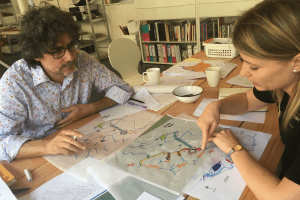 Last week we, Beccan Davila Urbanismo, Rebel and MOVE Mobility, started the preparation for a participatory design workshop to be held in Zárate, Argentina on 1ste and 2nd of November. The main purpose of the workshop is to design a strategy that could sustainably integrate the challenges of the continental territory and the sector of islands located in the Delta, both belonging to the Zárate county. This plan will be an integrated solution between water, mobility, urban planning and finance. Based on this draft strategy a cluster of strategic projects will be defined and one will be chosen for further development including a draft financial arrangement/strategy. 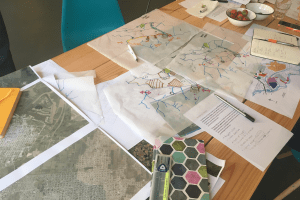 Zárate should be considered as a pilot initiative that could be repeated in other cities of the Delta.The workshop is sponsored by Partners for Water and the Netherlands Enterprise Agency and will be coordinated by the Sociedad Arquitectos de Zárate. 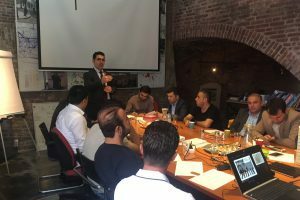 Knowledge Exchange Programme for the government of Raparin Region, Kurdistan. September 10, 2018 3:08 pm Comments Off on Knowledge Exchange Programme for the government of Raparin Region, Kurdistan. Our Knowledge Exchange Programme helps cities to visualize more sustainable options for their planning. This is really important in order to change the paradigm of the car-orientated regions such as Kurdistan and to set the first steps towards a Smart Moving Raparin. We shared with the governor, mayors and technicians our experiences on urbanism and sustainable mobility. 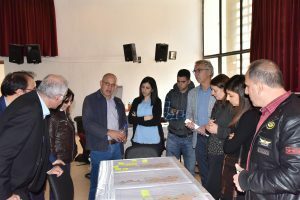 Together with Nahuel Beccan from MAP Urban Strategies , Carolina Ramos carried out a workshop in which the challenges and possibilities of urban development and sustainable mobility for the cities of Rania and Chuar-Qurne were explored. The most demanding topics were land-use planning, road connections, the use of water in the city and in the agrarian zone, use of mountains for alternative energies, the increase of green areas and investment in infrastructure for tourism. The group visited various cities in the Netherlands, was introduced at the Dutch Cycling Embassy and made a cycling tour in Deventer. 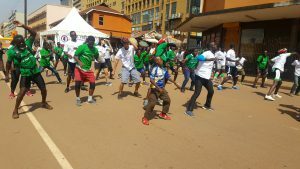 Smart Moving Kampala! was launched in 2014. In this project the NMT pilot route was designed in detail. Of course the first step was to design the city networks for car, BRT and bicycles. These networks are the every day blueprint for KCCA how and where to invest in infrastructure. Within a year the NMT pilot route will be implemented. 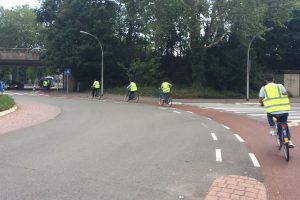 Last month the first cycle lane was realised. Our partner in Uganda. Ms Amanda Ngabirano, was given the honor to open it. A small start on the move towards a fantastic end result! Many cities around the world (Nairobi, Singapore, Sidney, Brussels etc.) gave a reaction: Kampala is ahead of us!